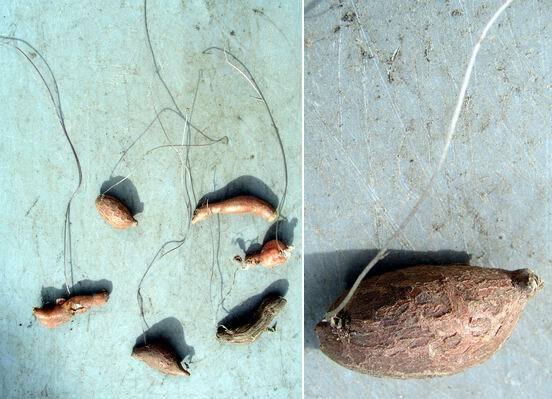 I found these Tropeolum tricolorum corms sprouting from a paper bag in my potting shed. Despite not being planted and not having any water they are wanting to grow - how do they know? This has long puzzled me and I am still not convinced that I have the complete answer but I know that falling temperatures is part of the equation. 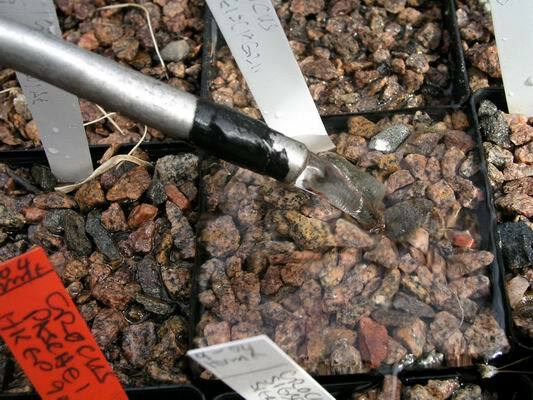 In the case of the Tropeolum, it is the shoot that starts to grow first, using the energy stored in the tuber. 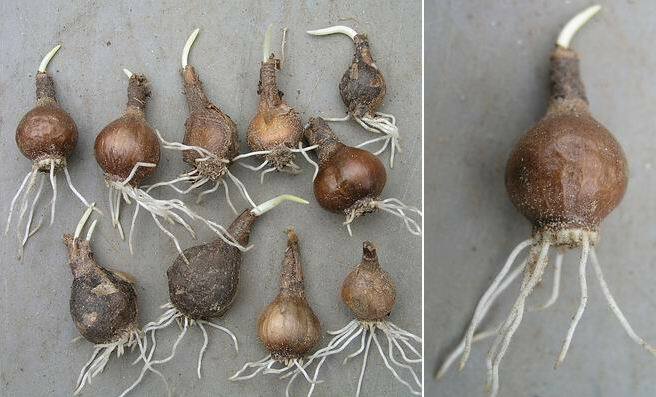 Narcissus bulbs start off by sending out exploratory roots to search for moisture as well as extending their shoots. These bulbs were stored in a bag of dry sand in the potting shed and again the only moisture present was that contained in the bulbs themselves. Their internal clock is telling them it is time to start to grow. As I mentioned last week it is the falling temperatures that stimulate this growth and in hotter areas it could be too early yet to apply water. 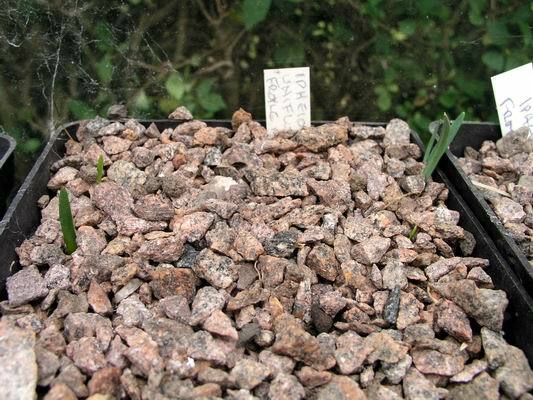 Another early starter is Ipheion 'Froyle Mill', leaves are already appearing through the gravel and again this is without any water being added. I take the hint from the plants and I have applied the September storm. I thoroughly soak all the pots until they back up with water, when I reach the end of a bench of pots I start again at the beginning and fill them up again. After a while I go over them once more to make sure that they are well soaked and the water has not just run down the edges leaving the centre of the compost still dry. I usually have a test pot filled with the same dry compost as all the others but without any bulbs. I can then tip it out to check and see if I have got it well soaked all through. You can just make out the compost to the left is darker and therefore wet while that to the right is still quite dry - this was after the first soaking showing the need to soak the pots repeatedly to ensure an even penetration of moisture. Any pots that were not replanted this year drain quicker and get evenly wet through quicker because they have a drainage structure developed from all the waterings from last season. Newly planted pots with a fresh compost mix have to form this water pathway and these thorough soakings help to develop it. 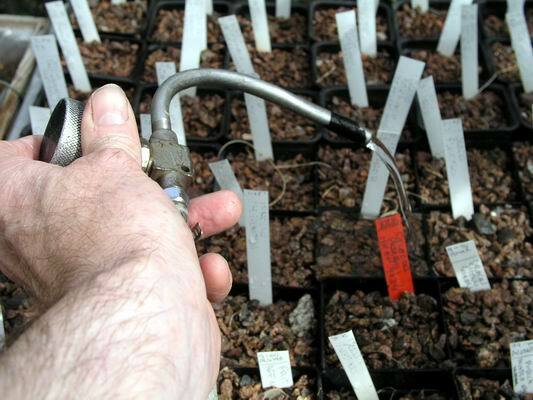 Talking of tests I am now planting up some trial pots to test out my sand/gravel/leafmould compost mix. 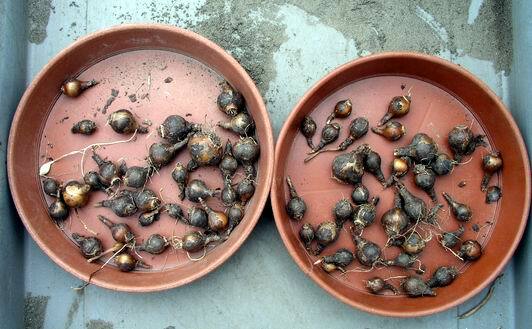 Here are two near identical lots of Narcissus wilkomii bulbs. 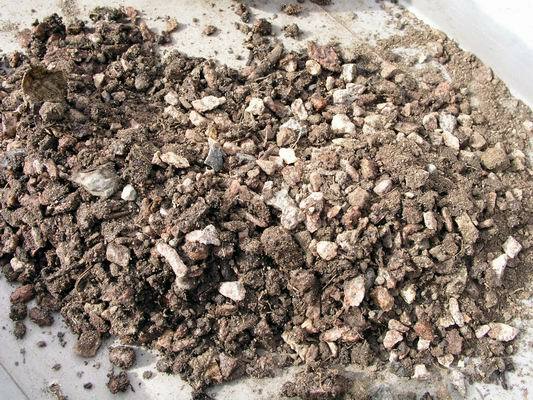 One lot have been planted into our regular loam based mix and the other into the sand mix. 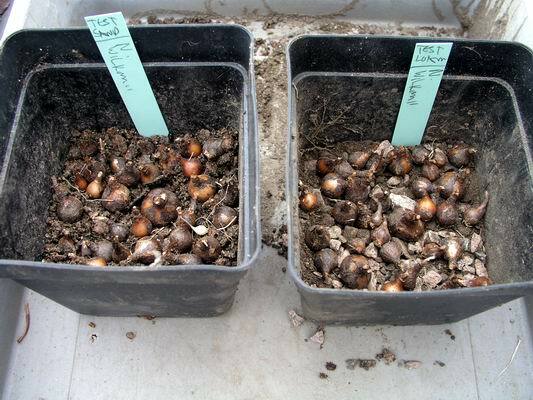 I will do this with several different lots of bulbs and watch their progress carefully over this next growing season. Colchicums are often called 'autumn crocuses' in the UK and this confuses many people as they are not even close to a crocus. 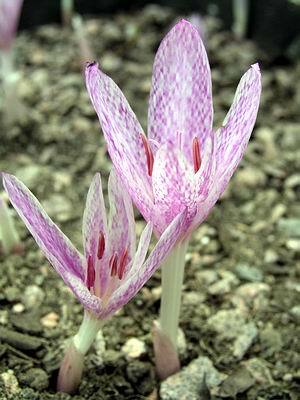 Colchicums are in the family Liliaceae while crocus come from the Iridaceae. A quick and reliable way to know the difference is to count the stamens, the bits that have the pollen on. 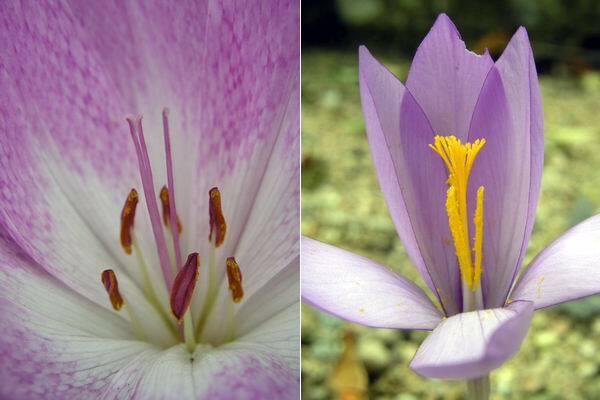 Colchicums, above left, like all lilies, have six while crocus, right, have three just like an iris. The tessellated hybrid Colchicum I showed you last week is now in its full glory and looking fabulous. I know that this old form will have a name but I cannot say with confidence what it is, if any one can tell me for certain what it is I would be very grateful. 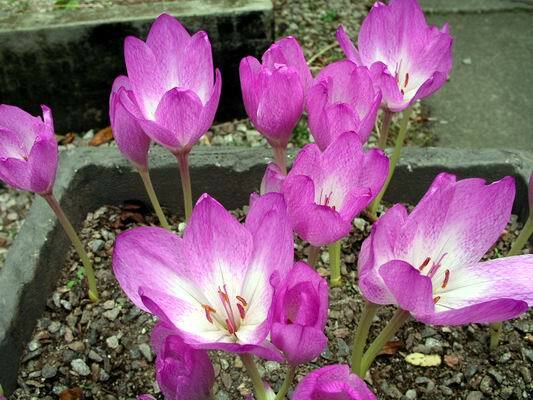 One of the best of the checkered colchicums to grow is Colchicum agrippinum which also has the benefit of having relatively small leaves and so it is useful for the rock garden while the other large flowered species need a bit more room for their leaves to grow. 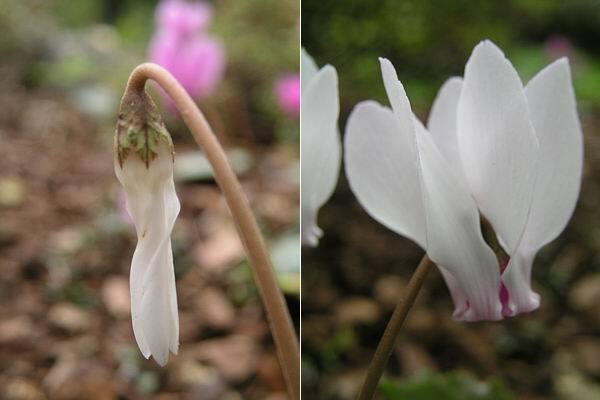 How fascinating are the cyclamen, in the way they untwist their buds then reflex their petals trough 180 degrees.